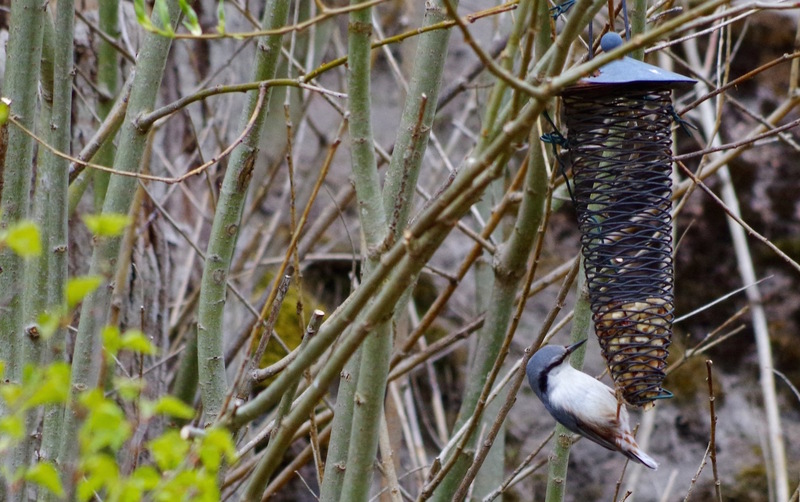 Two very different spottings of the nuthatch: one in its natural habitat, one at the feeding station. 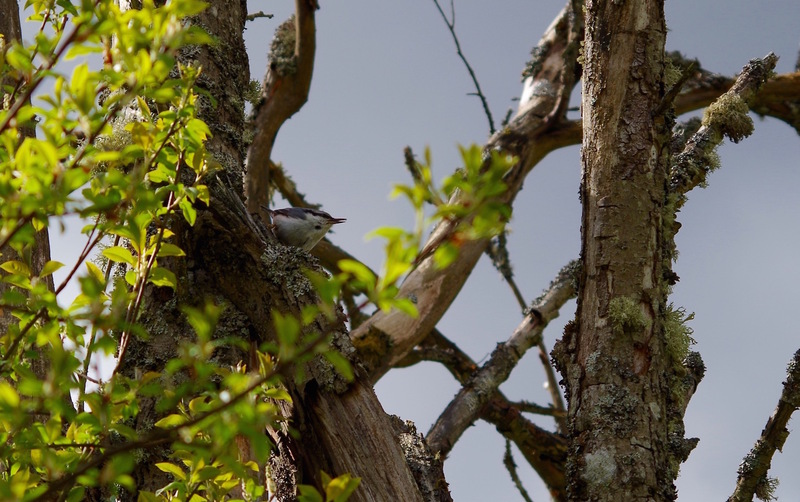 Älje-Porsen nature reserve, Uddevalla, on May 3, 2015. Pentax K-50, ISO 100, 78mm, f/5.6, 1/400.